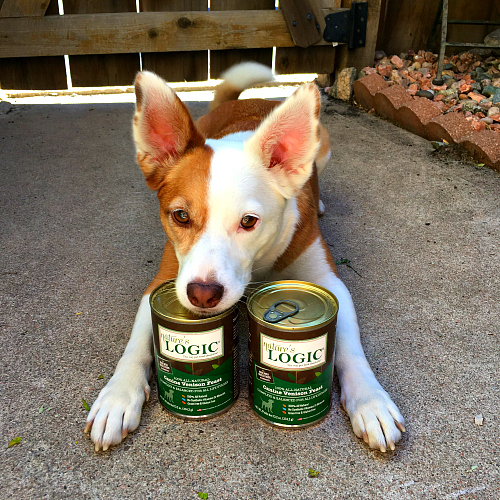 Nature's Logic canned food is grain-free, 100% natural and contains over 90% animal ingredients, all things I keep an eye out for in choosing a canned food. 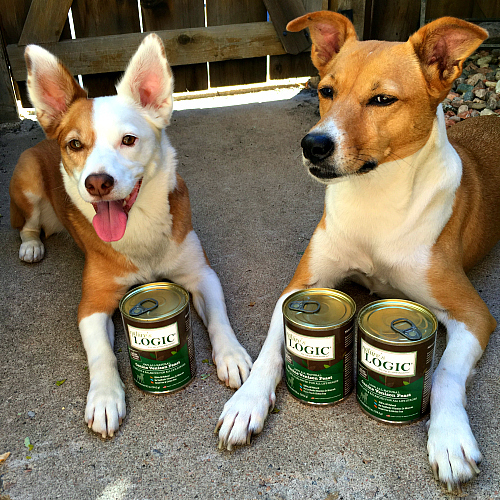 It is a complete and balanced food, meaning it meets AAFCO standards and could be fed exclusively. I can say without hesitation that the Venison Feast was one of picky Ruby's favorite foods she has ever had. She spun in excited circles of anticipation at breakfast-time and licked her bowl clean. Venison, Venison Broth, Venison Liver, Dried Egg Product, Porcine Plasma, Montmorillonite Clay, Herring Oil (Preserved With Mixed Tocopherols), Brewers Dried Yeast, Dried Apple, Dried Apricot, Alfalfa Meal, Dried Artichoke, Dried Blueberry, Dried Broccoli, Dried Carrot, Dried Chicory Root, Dried Cranberry, Dried Kelp, Dried Parsley, Dried Pumpkin, Dried Rosemary, Dried Spinach, Dried Tomato, Rosemary Extract. That's it! Everything is completely natural, recognizable, with nothing I don't understand or can't pronounce, and none of the thickeners (xanthan gum and carageenan) that are found in many canned foods and which I tend to avoid. My one very minor complaint about the food is that once refrigerated, it can be hard to get out of the can due to its very dry, dense texture. It just makes The Ginger Sisters' mouths water a little longer as they wait for breakfast to be served! 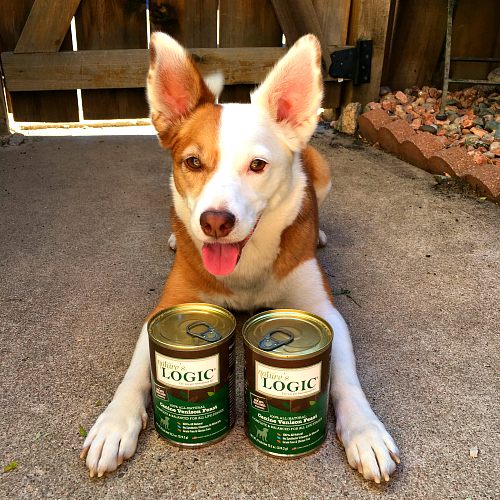 Overall, Nature's Logic has everything I look for in a canned food for my girls: meat as the first ingredient, no grains or fillers (while they are not on a strictly grain free diet, I expect their canned food to have a high protein concentrate) and preferably no gums or binders. 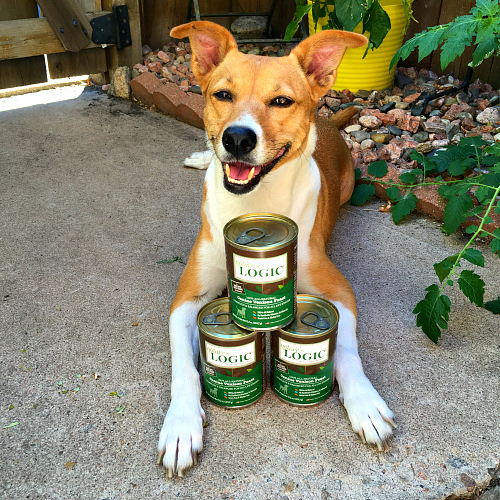 I always like to check any food I'm considering on Dog Food Advisor, which gives Nature's Logic a five star rating. I think Boca and Ruby especially will be delighted to have the Venison Feast included in their regular rotation diet. This post is sponsored by Nature's Logic. 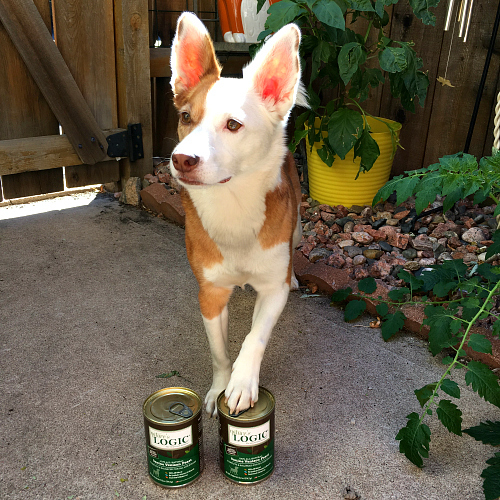 I am being compensated for helping spread the word about Nature's Logic pet food, but Rubicon Days only shares information we feel is relevant to our readers. Nature's Logic is not responsible for the content of this article. Great review, love the pictures!!! I didn't realize they made canned food. My crew loves their frozen raw!